Daily Illuminator: Quick! Grab These Cults And Cats Before They're Gone! July 19, 2016: Quick! Grab These Cults And Cats Before They're Gone! Turns out, people really like at least two things in this life: Cthulhu and kittens. We say this because our primary warehouse has sold out of both Cthulhu Dice and Munchkin Kittens, and really our only source of information about life is game sales, so we assume this means the world is full of cultists and cat people. So get your copies from your friendly local game store, before they're all gone. Or order them from Warehouse 23 while there are still some available. 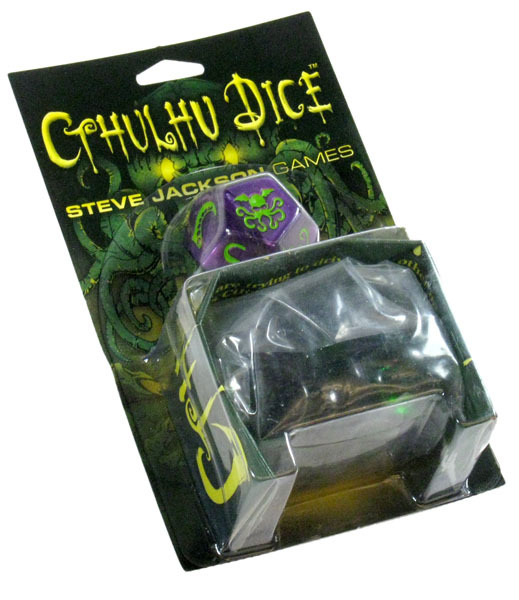 And if you've forgotten -- though we aren't sure how you could, considering we've already concluded that the world is nothing but elder gods and baby cats -- Cthulhu Dice is a game for 2 to 6 players where you roll the dice to force your cultist opponents to lose their literal glass marbles before you lose yours. And Munchkin Kittens is a Munchkin booster pack full of cards inspired by natural feline defenses including claws, teeth, and siege weaponry. You can play these games while you wait for the inevitable coming of Catthulhu.